Gallery@12 was in print again. The feature covered many aspects of the work shown there including my Photography. I was invited to become a member back in 2010 and haven't regretted a moment. It's a success story based in the town of Eccleshall. 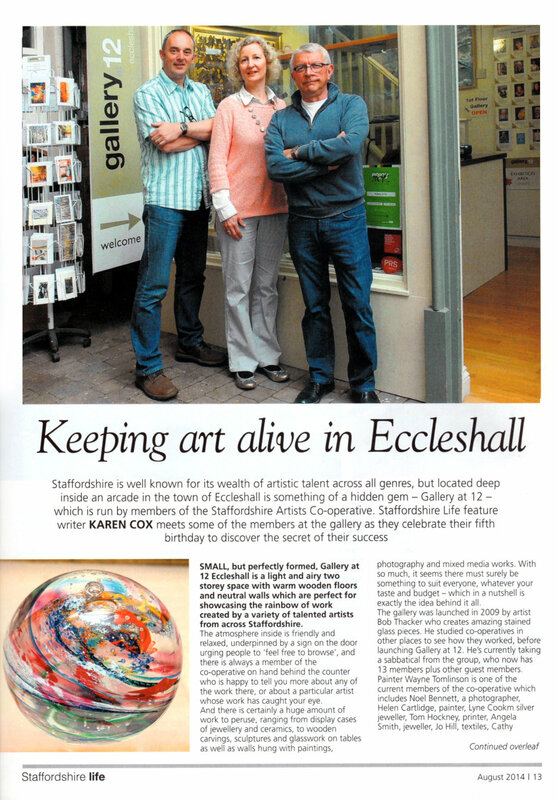 Proud to be a member of Gallery@12 Artist's Co-operative!